Monmouth Inn was built in 1818. Through the passing years this stately home has seen military officers, the sweat and toil of slaves, gentle ladies, births, and deaths within her walls. Today it is a small elegant hotel with furnishings of the Victorian period and surrounded by 26 acres of exquisite gardens. The house is restored to the 1830 period with antiques or reproductions. 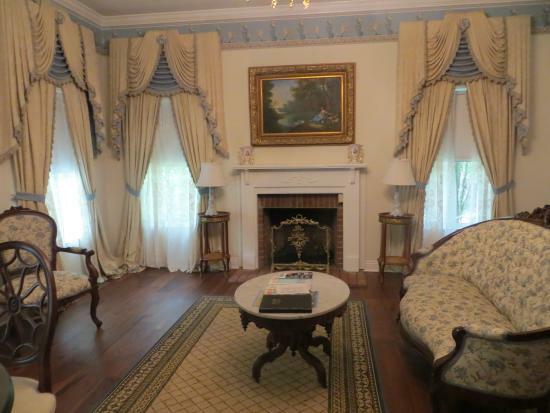 Monmouth is available for a visit tour along with many other antebellum mansions in Natchez. This is the room we stayed in for two nights. David was happy that there was a 2016 year TV with cable along with the canopy bed. It was so high, I had to climb into it. This was the entry hall. Here is an intimate sitting area. Lots of sitting by the people in the big house in 1800’s! 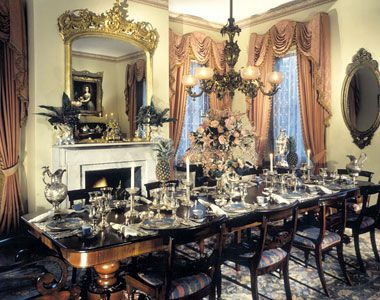 This is an image of the dining room where we ate, set for a party. The nights we ate there , the room was set with small individual tables. The food was very good with a menu that was a combination of traditional choices such as Southern fried chicken as well as traditional American recipes. This is the courtyard in the back of the house where we had a glass of wine before dinner and some special appetizer whipped up by the chef. To give an idea about this unique experience, Monmouth Historical Inn has been featured in none other than Southern Living! 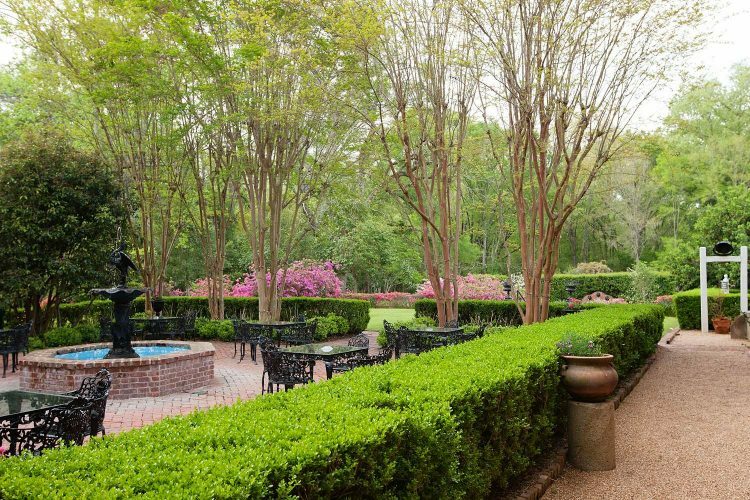 This entry was posted in Architecture, Travel, Uncategorized, USA and tagged hotels, inn, Monmouth Historical Inn, Natchez Mississippi, Southern Living, Victorian furniture, Victorian period. Bookmark the permalink.